There is something special about a 1972 Porsche 911. For the first time, the entire U.S. model year lineup all had the famous mechanical fuel injection and the one-year-only side oil door (for better weight balance). Only the North America T’s got MFI for 1972 and 1973, while the rest of the world (ROW) still got carburetors. Furthermore, the ‘72s still retained the smaller bumperettes unlike the unsightly impact bumpers that were mandated for U.S. ’73 models. It was also the first year displacement bumped to 2.4 liters. As the market continues to grow for “long-hood” 911s, the 1972 model is quickly becoming one of the most desirable. This Porsche 911 was built in May of 1972. Although not much is known about the early history, we do know the car was either delivered new to California or at least has been in California since 1980. I spoke to the earliest owner I could track down. He is a long time Porsche 911 enthusiast who lived in the Los Angeles valley area. He bought the car around 2002 from another L.A. area owner. The car needed mechanical services, but the chassis was straight. He kept the car for a few years and spent several thousands of dollars to make it safe to drive. He sold the car around 2005/2006 to another enthusiast in the San Gabriel Valley part of L.A. This owner was looking for a nice CA ’72 911 to make into a fun weekend canyon/cars & coffee car. He started the refurbishment/restoration in 2008. It took about 6-years to complete. Initially, he had Loren Beggs of Nine11Design.com go through the engine. He took it apart down to splitting the case. Then, everything was inspected and cleaned. He found most of the parts to be in good original condition and preserved them. He replaced rod bolts, bearings and also a complete engine reseal. He also installed updated Carrera chain tensioners and had the heads refinished. While the engine work was being done, the body went to a local specialist to be stripped down to the bare metal. The body was straight with just some rust in the rear seat pans and parcel shelf. It was replaced and the car was completely repainted in Porsche Slate Gray using correct factory Glasurit paint. The car and engine went to Galen Bieker of Werks II for reassembly. During the reassembly, the front brakes were upgraded to 993 brakes. The rears were upgraded to Carrera brakes. The transmission was rebuilt as well using shorter airport gears and a limited slip differential. A new clutch kit and flywheel were also installed. Finally, the suspension was completely rebuilt using Elephant upgraded bushings, aluminum rear trailing arms, Bilstein shocks/struts, larger torsion bars, and larger front/rear sway bars. Finally, by the end of 2013/beginning of 2014, the car was finished. While doing shakedown/break-in miles, the final sorting was completed by Marco Gerace of TLG Auto in North Hollywood, California. Marco had the MFI pump rebuilt by Gus at Pacific as well as installed a new thermostat, correct black Bosch OE coil, MFI pressure valve, and electric fuel pump. He then adjusted all the linkage and made sure the fuel injection was tuned properly and performed a break in oil service. For the next few years, this owner was finally able to enjoy his early long-hood 911. He drove it for about 6k-miles mostly in our local back roads. A couple years ago, a close friend of him hounded him to sell the car and he did. However, the current owner has only driven the car less than 1k-miles. His family demands have grown and he really doesn’t have the time he thought to thoroughly enjoy this 911. Recently, he installed new brake pads all the way around, new Porsche factory batteries (2), oil service, and inspection. The exterior of this early 911 looks very nice. It has a good stance with a slight bit of sport-purpose attitude. All the panels are metal and appear to be original including the front S spoiler/bumper. The paint looks great. There are few minor flaws in the paint prep that show a bit of texture (see pics). It appears to be mostly on the driver door. The brightwork looks correct and very nice. The factory Fuchs 15×7 wheels have their original finish and are a bit faded. They are wrapped in older 225/50 tires that have plenty of tread and no cracks. They fit nicely with no rubbing. The brakes are new. All the glass is in excellent condition with no cracks or chips. The interior is equally as nice and also has a sport-purpose/lightweight vibe. The carpet, headliner, and front seats are fairly new and in decent condition. A bolt-in ST-style B-hoop roll bar is nicely fitted but can easily be removed. A new pair of 4-point Schroth street-legal belts is also installed. The dash was replaced during the restoration and has no cracks or warping. All the gauges work except the clock. The gas gauge does work, but is not calibrated for the fuel cell. This ’72 911 drives fantastic. It’s easy to forget why we fell in love with these cars in the first place. They are so wonderful to drive and have such a light and communicative feel that gets muted on later back-date cars, SCs, and Carreras. This example starts easily with the first try and holds an even idle with no smoking or popping. The throttle response is excellent and it quickly climbs through the rev range. Power is surprisingly strong for a T. The transmissions shifts smoothly with no grinding or slipping. The shorter gears make it really fun. The brakes have a nice firm pedal feel. Braking is immediate with no pulling or fading. California registration is current through June of 2019. This Porsche 911 comes with Lojack (will need to transfer to new owner), some recent service records (going back to 2004), original gas tank, and owner’s manuals with original red cover. This vehicle is sold “as-is” with no warranty, written or implied. In some cases, the vehicle does have the remaining factory warranty still in place and will be described above if that is the case. All taxes and fees are the responsibility of the buyer and are not included in the listed price. All vehicle sales will require a $170 administration fee. The vehicle listed is described to the best of our ability. The information is based on our own research and statements made to us by the previous owner(s). To the best of our knowledge, the above information is accurate. We are not responsible for errors in our description of options or any other details. The above-mentioned vehicle is used and can be expected to show some wear and tear. It is not a brand new vehicle. We do welcome all local pre-purchase inspections on vehicles in order to verify condition. We appreciate the countless calls from brokers and dealers. As much as we would love to quickly “wholesale” this car to industry partners so they can make a quick profit, the car is on consignment (as are all of our offerings) and the owners have the final say. If you have actually taken the time to read this far in our detailed description, I can’t imagine there are any questions you may have. However, if there is something I missed or you would prefer to hear the warm sound of a human voice (mine) reiterating the research I’ve provided above, I would be happy to help. 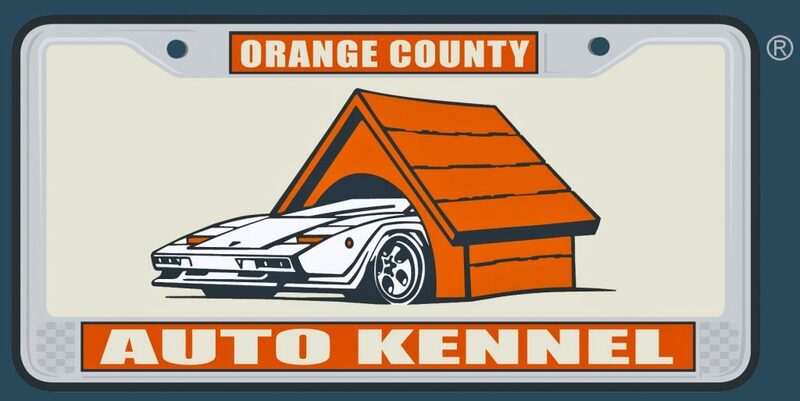 If you put our company name in Google (AutoKennel®) you will see that we have been a long-time part of the Porsche community and have worked extremely hard to earn the positive reputation you will find. Feel free to reach out to our local PCA chapter (www.pcaocr.org) and the board members are familiar with us. Most in the club have known us for most of our 25-year membership involvement. Of course, if you would like more references, you will find countless testimonials on our website as well.